It’s time for a new set of prompts for December 2018. 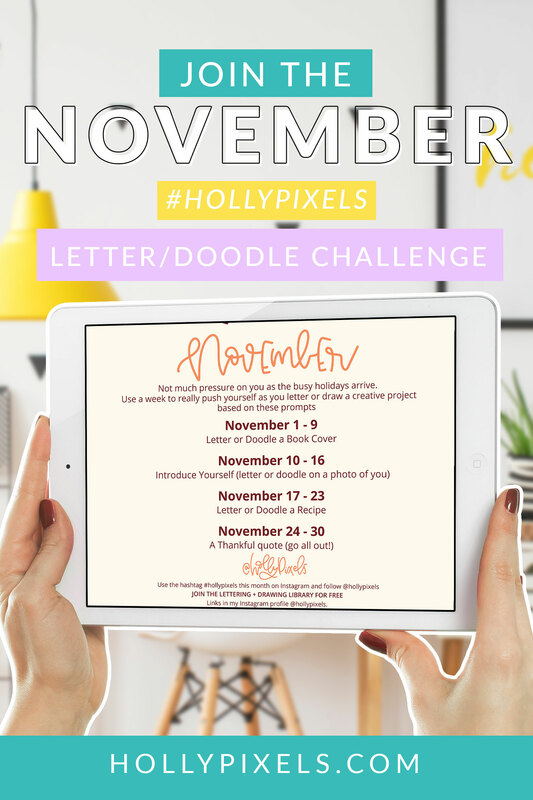 Holly Doodle is here for December and ready for you to draw your hearts out! Can you believe it’s been a full year that I started doing our challenge? 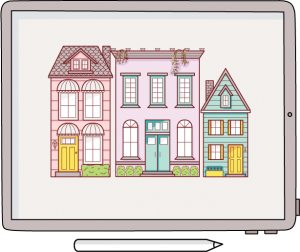 It’s evolved and changed quite a bit as my business has evolved and changed. I don’t do as much lettering as I used to. I draw more. So I introduced doodling to the challenge and that meant changing our hashtag. As I was thinking about doing a doodle or lettering challenge for 2019 I wasn’t so sure I wanted to continue it. But I know that you love the prompts. And, I do love drawing. So it’s evolving AGAIN! 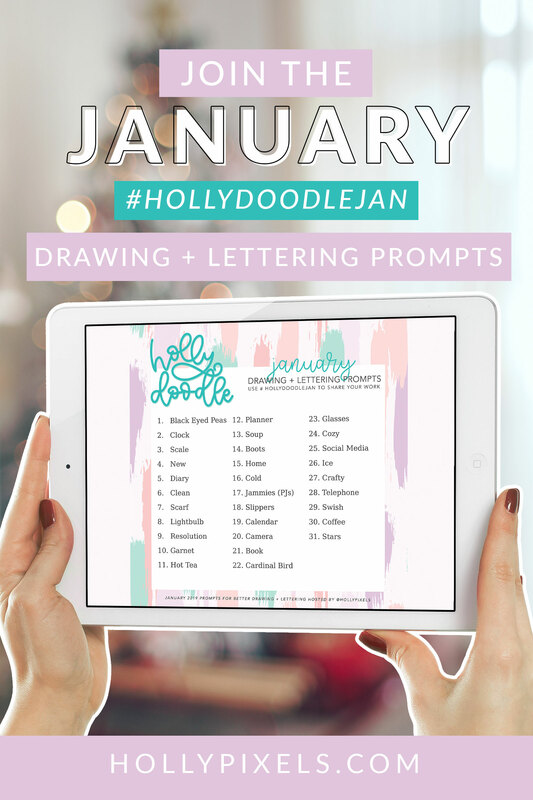 This time we’re changing the hashtag to #hollydoodle – and then placing the month behind it. 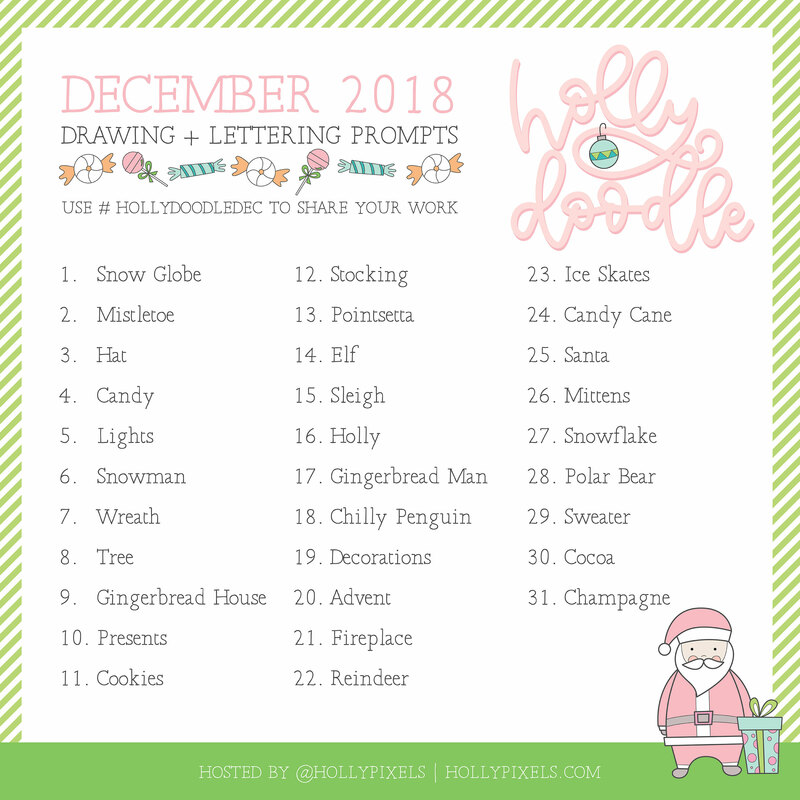 This month it is #hollydoodledec (for December). I felt like this was more accurate for what I personally do more of now in my work. I draw more than ever. 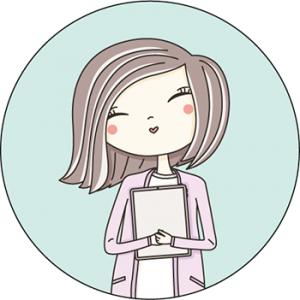 You can find my drawings on Instagram, on Etsy and in the Digital Planning Sticker sets we create in the shoppe. I do letter from time to time and I consider hand lettering drawing too. 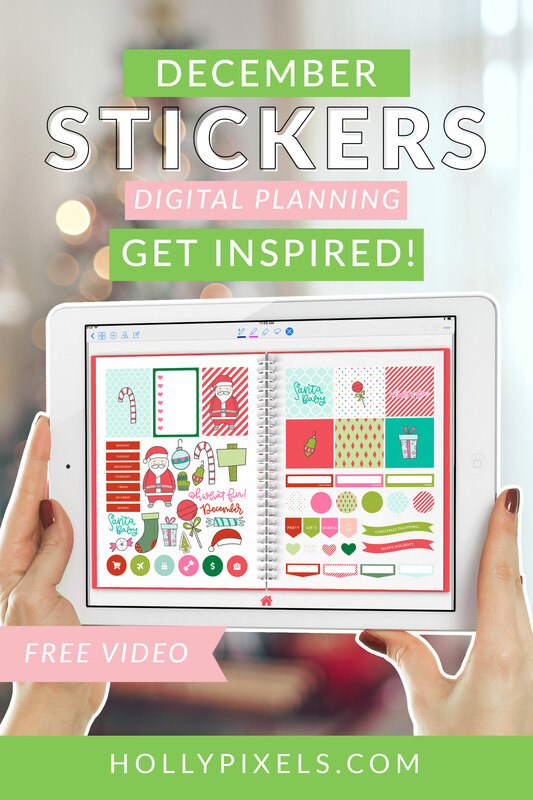 Plus I wanted to separate out the months so you can find inspiration easier on Instagram. Now you can search by month and see what others are doing without a mix of things showing up. I hope that is more helpful to you. 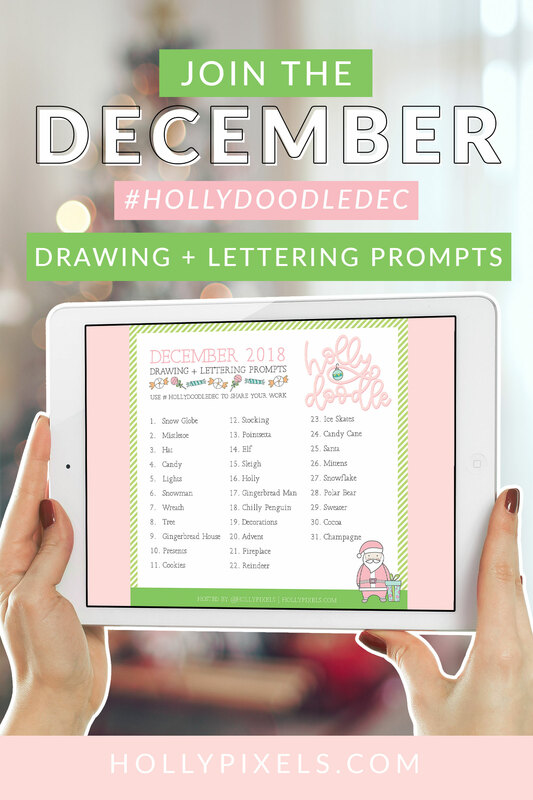 How Does Holly Doodle December 2018 Work? Every prompt is open to your interpretation. Please remember the unwritten rules for copying in regards to etiquette. I see people copy my work all of the time. Please if you do copy my work SAY THAT in your description. Do not put that “I inspired you” because that’s not what copying is. Copying is copying. Inspiration means you took a technique from me or I inspired you to think of something different. While copying helps you learn some techniques, this prompt is truly about trying to get YOU to think of ideas for your own work! When you copy you don’t really grow. Also, please do not repost my work without crediting me in the description and tagging me. You may not use my work for profile pictures nor can you print and use them or sell them in any way (copying too). Thanks so much for respecting all artists!